Ask the Winemaker - What is an "Urban" Winery? Q: What is an "Urban" Winery? We are located in Downtown Vancouver Washington on the corner of 15th and Broadway. A: The short answer is that an "Urban" winery is a wine producer located in an urban setting. But there is sometimes some confusion about the concept. Typically, an urban winery like Burnt Bridge Cellars (and most others) sources grapes from multiple vineyards, and ferments, bottles and sells the wine at their facility located in a more densely populated area. It's becoming more and more popular these days, and while we are the only urban winery in Vancouver, Washington, there are several in towns like Portland, Seattle, San Diego and Vancouver, BC. When a lot of people think about wineries, they imagine large buildings and verandas overlooking acres of vines. It's what the old French and Italian wineries look like. These types of wineries are called Estate wineries, and, as you can imagine, require a significant investment to get up and running. In Washington State, these types of wineries are actually becoming the minority. According to washingtonstatewine.org, there are more than 890 wineries in the state and 350 growers. So the total number of wineries would be much smaller if they were all tied physically to a specific vineyard. In fact, even in wine country hot spots such as Walla Walla, the majority of wineries are not Estate wineries. They do what we do, source grapes from vineyards all over the state. The only difference is that we make the wine in Vancouver, while they make the wine out there in a more rural setting. 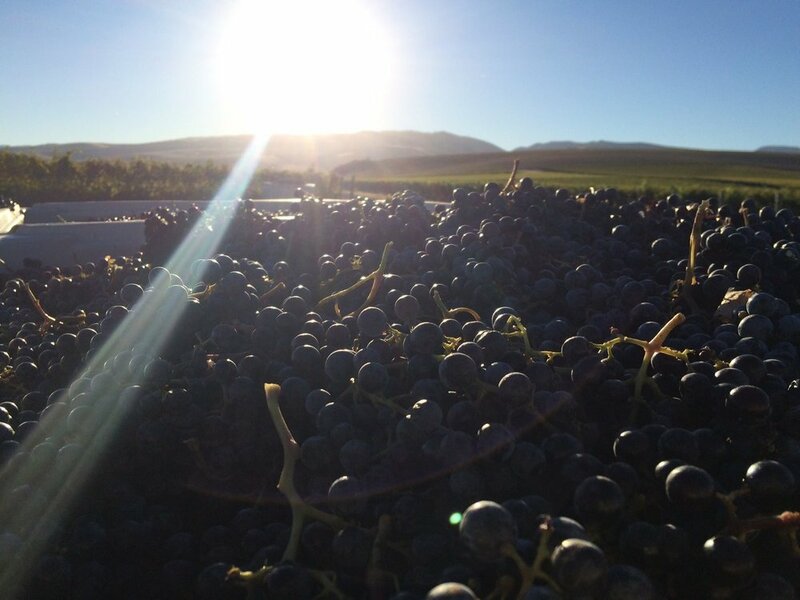 There are many advantages to sourcing grapes like we do an producing the wine where we do. First and foremost is diversity of wines. We can find which vineyards grow the best of a certain varietal and then produce a wide array of top quality wines that you couldn't make if you were sourcing just one vineyard. And, because of the weather and geology of our state, we couldn't grow the grapes for the wines we like to make here in Clark County. Second, we make the wine where the majority of our customers are located. In wine country, the customers go to the winery. We bring the winery to our customers. In that respect, the concept of Urban Wineries is not that much different than just about every brewery in the country. The wheat, barley and hops that they use to make their beer is grown primarily in rural areas. And the beer is produced in the city. The third advantage is that we get to live in a place we consider home. I like our rural communities out east, but as someone who grew up on the west side of the Cascades, I feel at home here and I think you will too. Are there drawbacks? Sure. We drive our truck and trailer back and forth to vineyards a lot during harvest season. In 2015, in fact, we drove the equivalent miles of a trip from Vancouver, Washington to New York city and back. But we think it's worth it, and hope you do to. So if you haven't experienced what an Urban Winery has to offer, come check us out. We have new art in the tasting room and will have food and music playing for First Friday beginning at 4 p.m.
And if you have a question you’d like answered on this blog, send me an email at ben@burntbridgecellars.com. If we use your question, you might even win a prize!